BERANCIA Regular weight available NOW. FREE for personal use ONLY. Would really appreciate a " LIKE " by clicking on the blue button below. Enjoy! Berancia is a modern san serif typeface inspired by strong, bold angles and corners. 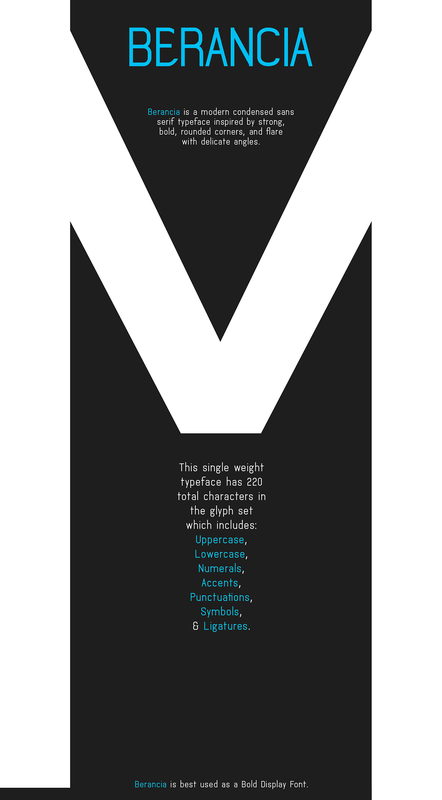 Contains 220 glyph characters. FREE Typeface. ENJOY.